Imagine that two people, Kim and Carlos, notice that their cars are filthy and both go to the same car wash to make things right. With their wash they each receive a special card that lets them earn a free car wash if they get the card stamped enough times during future visits. Kim’s card says it requires 10 purchases for a free wash, but the perky girl at the counter gave her a head start with two free stamps. 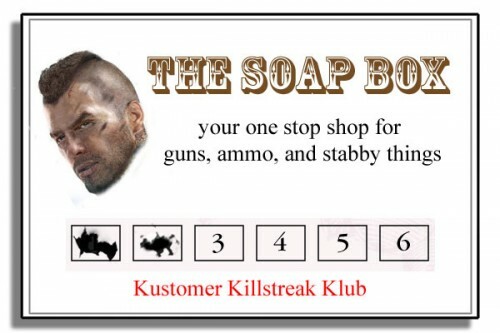 The card Carlos got doesn’t have any free starter stamps, but it only requires 8 future purchases instead of 10. So both Kim and Carlos are looking at the same number of purchases to score their complimentary car cleaning. It turns out that it’s Kim, who got saddled with a card that required 10 total stamps, but who received enough free stamps to get her 20% of the way towards her goal. This is thanks to a phenomenon called “the endowed progress effect.” Basically, the idea is that when you give people just a feeling of advancement towards a distant goal, they’re more likely to try harder and try longer to reach that goal, even relative to people who have an equally easy goal but who got no sense of momentum off the bat. Researchers Joseph Nunes and Xavier Dreze coined the term in a paper 1 where they did the car wash experiment described above. They found that 34% of people who got a 10-stamp card with 2 freebies ended up coming back enough to redeem the cards, compared to 19% of customers who started with an unstamped card requiring only 8 stamps. This despite the fact that both sets of customers only needed 8 stamps for a free wash. Nunes and Xavier also found that those endowed with the two free stamps tried to reach their goal faster by waiting less time between washes. Buy 6 heartbeat sensors and win a chance to punch Bobby Kotick in the arm AS HARD AS YOU CAN. This has a few interesting possibilities for game design. Imagine, for example, that I’m playing through Fallout: New Vegas 5 and I get a quest to save 10 slaves from a nearby encampment. One way to deliver that quest to me would be to meet a NPC and have her say “Hey, there’s 10 slaves. Go free all 10.” And so I’d go off, and the quest would tick up “0 out of 10 slaves rescued, 1 out of 10 slaves rescued,” et cetera. Alternatively, if the game designer wanted to invoke the endowed progress effect, I could first receive the request upon opening the cell door for a pair of slaves on the outskirts of the encampment. One of the slaves could say “There were 12 of us altogether! Free the others!” and my progress would start off as “2 out of 12 slaves rescued” as the first two sprint off over the horizon. According to everything discussed above, I’d be much more motivated to complete this quest if it were presented this way. Other examples aren’t hard to imagine. What if some NPC wanting 12 Goretusk livers in World of Warcraft gave me two to start with and raised the request to 14? What if, upon learning a new crafting skill that requires combining 5 widgets into one superwidget, the game gets me started with 1 widget and makes the recipe call for 6? What if, when I’m waiting impatiently in a multiplayer matchmaking lobby for Halo: Reach to find me 10 opponents, the game populates the first two slots with “Player Found!” after a couple of seconds even though it’s still looking? Would I be more likely to wait for the rest even if the search takes a long time? 6 Well, you get the idea. If you’ve got other examples, let’s hear them in the comment section. 1. Nunes, J. & Dreze, X. (2006). The Endowed Progress Effect: How Artificial Advancement Increases Effort. Journal of Consumer Research. 32, 442-52. 2. e.g., Fox, S. & Hoffman, M. (2002). Escalation Behavior as a Specific Case of Goal-Directed Activity: A Persistence Paradigm. Basic and Applied Social Psychology, 24 (4), 273-285. 3. Hull, C. (1932). The Goal Gradient Hypothesis and Maze Learning. Psychological Review, 39, 25-43. 4. The more astute among you may guess that it has something to do with loss aversion –maybe those with the two free stamps valued them more than shoppers in the other condition and didn’t want to lose them. That’s a pretty good thought, but it occurred to Nunes and Dreze too. Without going into too much detail here, they did a follow-up study to test that hypothesis and found that the value of the endowment didn’t really affect whether or not people persisted in earning the free prize. 5. Which I actually am at the moment! 6. Sorry, is that evil? Lying to your players may be a little evil. Your conscience may vary. So what explains these two Incompletes on my transcript that I have no intention of ever finishing? Is that because it turns out I can get my degree without them? Or is it because I feel satisfied with what I learned in the courses even if I didn’t get all the work done? LotRO may be doing that with deeds. After killing a few of X, you get a deed (a bit like a quest, for those not playing LotRO) for killing N of them. AFAIK that last kill that triggers the deed is counted towards completion, but I might be wrong. What’s interesting is that some automatch approaches I’ve seen on the Xbox 360 do say ‘player found’ for the first few players, without telling you their names. I believe Modern Warfare 2 does this. I’ve always wondered why. Do they not want you to look up the gamercards of the first few players and decide they don’t like them and quite the session early on? It would make a lot more sense if they don’t actually exist yet, so the game can’t show their name. (Yeah, I know it isn’t the same situation; I’m just playing silly buggers). @unwesen Really? Cool, well good on them I suppose. @Joost: Halo does it, too. I always assumed that it was downloading their info still, but I think you can actually highlight them and hit “Show Gamer Card” so I’m not sure. Also, good examples of other uses, especially the chaining stuff. The only thing I think designers would need to worry about is being too transparent. Isn’t the same effect at play when you download a free demo of a game and can later upgrade to the full, paid version? The publisher gets you started on the path towards owning the game and once you’ve acquired some of the content, you’re more likely to want to go the full mile. I disagree that the 8 stamp and 10 stamp cases are identical. If the car wash gives me two stamps, I’m inclined to believe they may do this again. (Maybe they don’t, but I’m optimistic.) Couldn’t this explain the effect, without bringing in the endowed progress effect? I’ve seen this effect in Guild Wars, too, sort of. Even though GW has the option of playing only with AI in your party, it can be quite amusing to watch the LFG channel. Players with only 1/4, 1/6, or 1/8 players in their party are unlikely to get more members, even if there are enother 3, 5, or 7 players looking for groups for the same thing. The moment they have 2/4, etc though… suddenly their groups fill up really fast. I’d argue that this is also a certain degree of social laziness, not simply the endowed progress effect, but the latter probably does play a part, too. Hmm… The immediate question the study raises for me is whether or not they compensated for the perceived value of the card itself. If I’m cleaning out my wallet and have a punch card with no punches, it has no value and I’ll throw it away. I might still return to the car wash 10 times, but I no longer have the punch card. If it’s got punches, then it has a perceived value and will be retained. In terms of your quest examples, the different is probably negligible. I am, in fact, less likely to delete a quest from my quest log if I’ve made progress on it. So the effect applies either way. Every roleplaying game going back to tabletop games uses this dynamic. You always start with 50 gold pieces and a standard adventurers pack. Come to think of it, boardgames do to. Monopoly starts you with money and a game token. What’s new here is incentive to wait in queue.